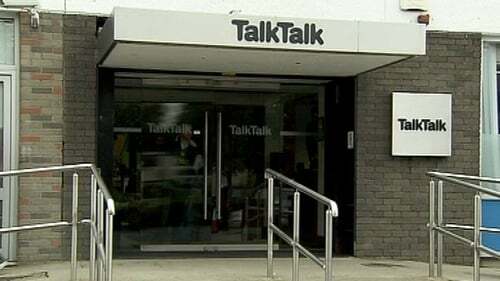 Talk Talk has announced the closure of its call centre in Waterford, with the loss of 575 jobs. Management at what is one of the biggest employers in the southeast said the facility would be closed within 30 days. They say there may be positions for around 80 people in England. In a statement, the company said staff would now enter a 30-day consultation period, after which a final decision will be made. It blamed the increasing use of its online service for the closure, saying the majority of its dealings with customers were now online. Talk Talk in Waterford manages the customer support function for customers based in the UK. The company grew its contact centre in Waterford from a small operation employing 30 people in 1998 to its current status as an award-winning contact centre employing 575 people. Earlier this year a number of support jobs in Waterford were cut. Minister for Jobs Richard Bruton says he has spoken at length to the company CEO and strongly urged the company to continue operations in Waterford. 'In the event that the company proceeds with closure, I urged her to provide a longer period to allow the government to pursue alternative solutions. He said he had been assured that all possible information on training and social welfare entitlements will be made available to workers. The minister said he would travel to Waterford to meet workers, management and local representatives next week. Waterford Independent TD John Halligan has called for the Government establish a task force to address the haemorrhaging of jobs from the region. "In the last few years, we’ve sustained the loss of Waterford Crystal and the Iron Foundry, ABB Transformers closed its plant in 2009, with the loss of 178 jobs; Teva Pharmaceuticals let over 300 workers go in 2009 and earlier this summer GlaxoSmithKline in Dungarvan suffered 130 job losses."